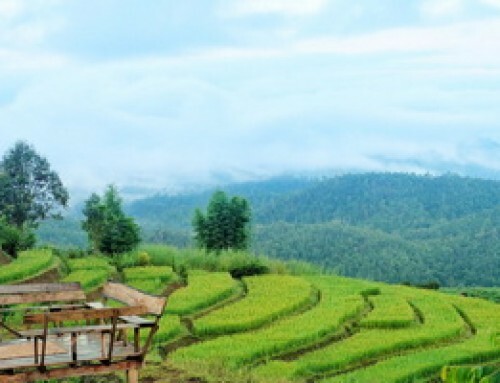 Each zone in Chiang Mai has the tourism unique of its own, including Mae Wang District. 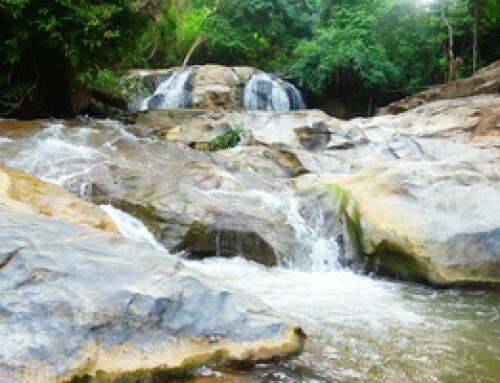 Mae Wang itself is well-known for clear water, high mountains, and, of course, bamboo rafting activities. Most tourists love to go there, because they want to feel the new experience of rafting in the middle of natural atmosphere. 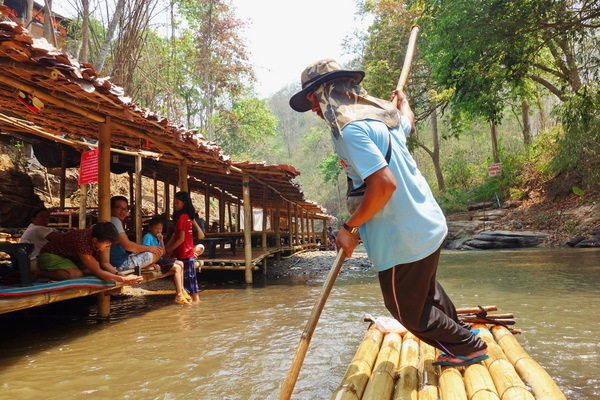 Rafting in Mae Wang is no ordinary. The rafts there weren’t made of rubber like those you use at beaches or swimming pools. 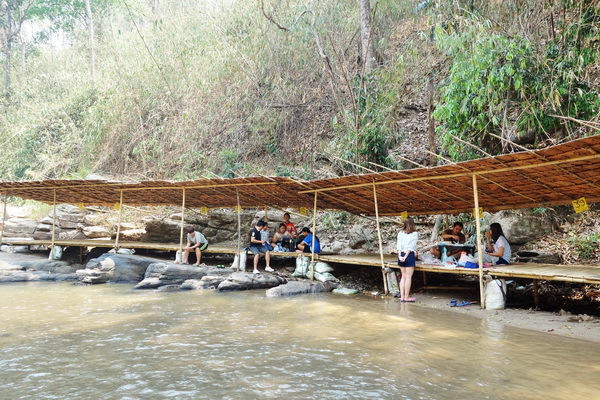 The rafts at Mae Wang were made of bamboo! This is the big outstanding appearance of the District. 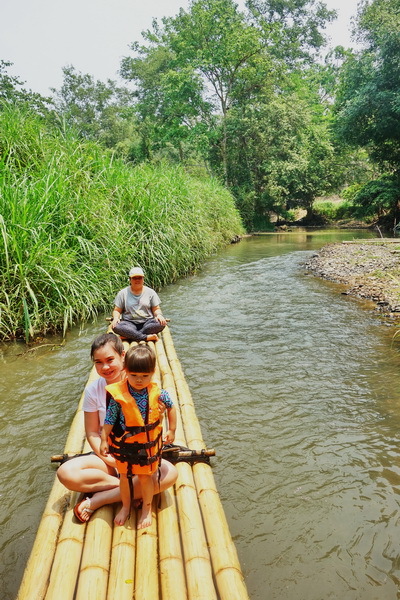 Bamboo rafts give you the relaxed feeling, as they’re natural. 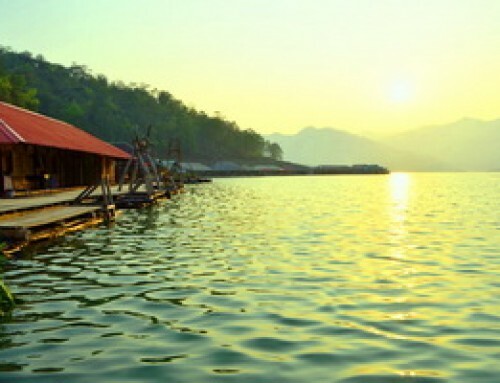 Just imagine how nice will it be, if you step up to a bamboo raft and sail along the water, with tree shade near you. You can go rafting both with and without a tour guide. 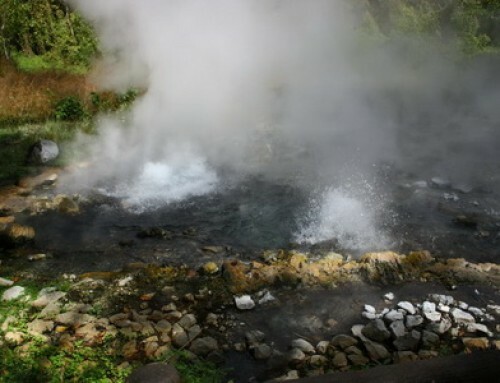 But getting a tour guide is probably better, as you will have someone to introduce all interesting things around to you, especially if you have never been to Mae Wang before. Moreover, a tour guide will watch over your safety. 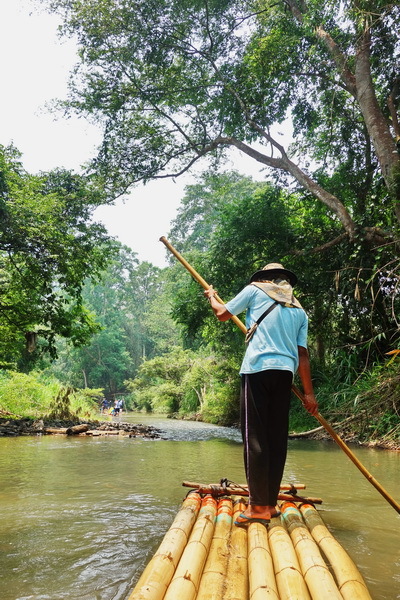 One thing you need to know first before going bamboo rafting in Mae Wang, is that you can possibly get wet during your trip, as the rafts were made by connecting long bamboo sticks to each other. Therefore the water can splash through the gaps between the sticks and get you wet. Now that you know this, you should dress in comfortable outfit like a T-shirt, or a pair of shorts, so that you will not have to feel stuffy when you get wet. Beside, you should have a waterproof bag with you too, just to hide your electronic devices so that they’re not damaged by the water. 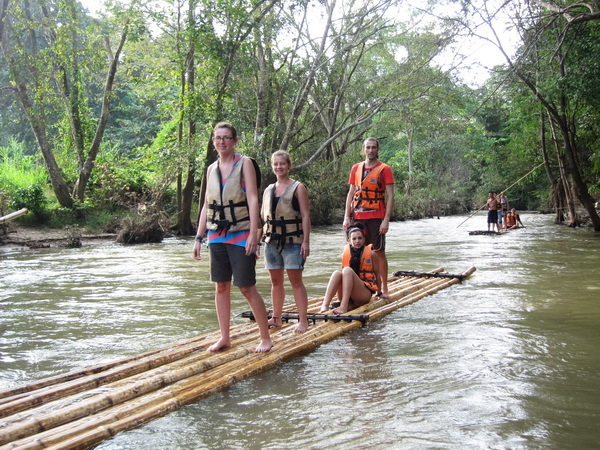 Going bamboo rafting in Mae Wang is a good activity for friends and families. 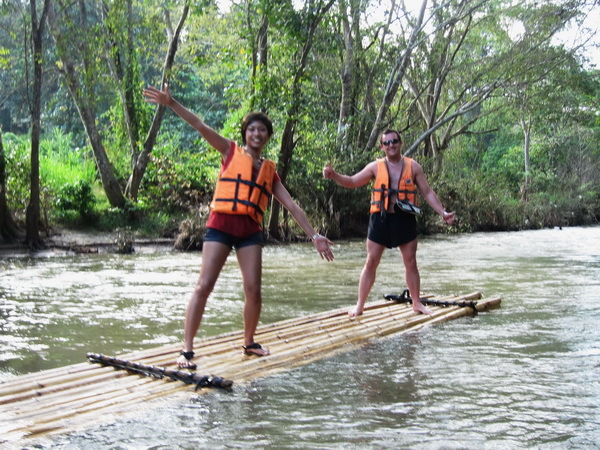 If your children’s school is closed for summer vacation, you may want to take your children up to a bamboo raft. Or, if your office provides a series of holidays for you, you may gather your colleagues and have fun together. And, after finishing rafting, you may switch to some other activities too, as rafting isn’t the only activity in the District. 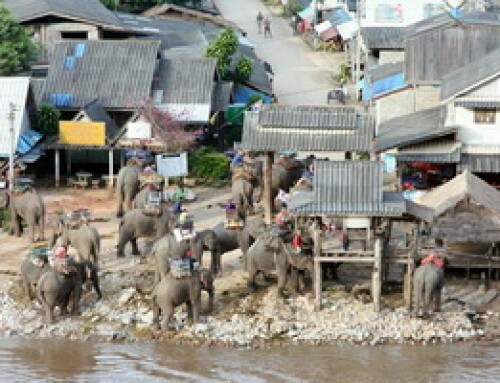 You may visit an elephant camp to ride an elephant or admire the local neighborhoods. Also, don’t worry about getting hungry. There are many restaurants ready for service, especially on Saturday and Sunday. 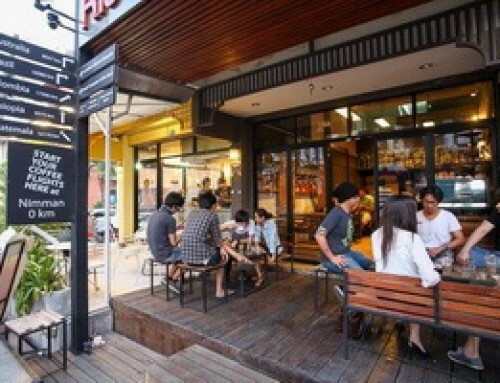 The food prices are affordable, starting at 20 or 30 Baht. You will not get your wallet torn to shreds. 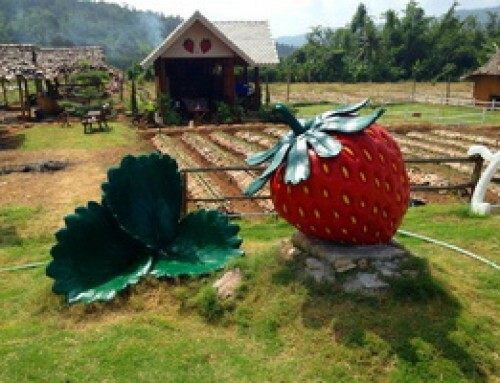 As Mae Wang is a District in Chiang Mai, therefore you should start your trip by heading out of the downtown. 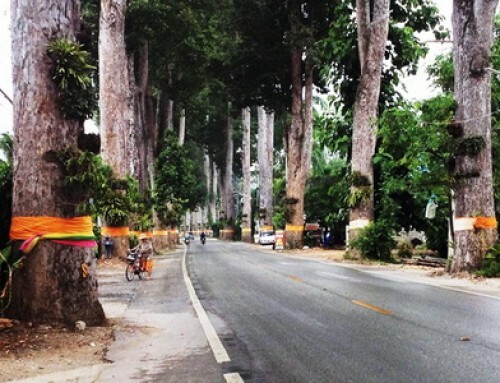 Keep going along the Highway Chiang Mai-Hod for about 20 kilometres. Try to notice the sign written the direction to ‘Mae Wang’. Keep going until you reach San Pa Thong District Junction. From that point, just turn right to the ascent of the mountain. Then keep going for 10 kilometres. 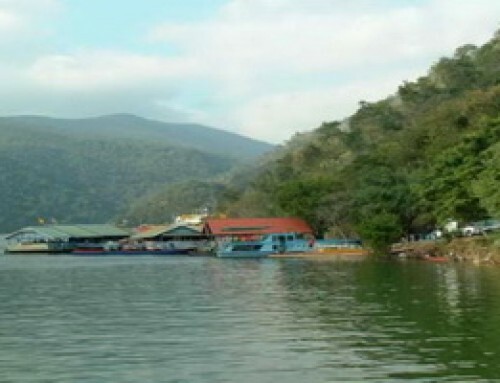 Not so long after that moment, you will see the big market of Mae Wang, which you can make a little stop if you want to purchase some foods , cloths for water activities, or souvenirs. Just drive a little bit further from the market, you will start to see some tourists attractions and restaurants. That means you arrive at your destination. 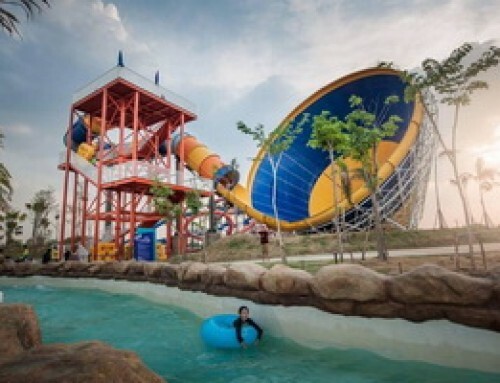 If you want to go rafting, you just contact any of these restaurants, as they already have rafting services. 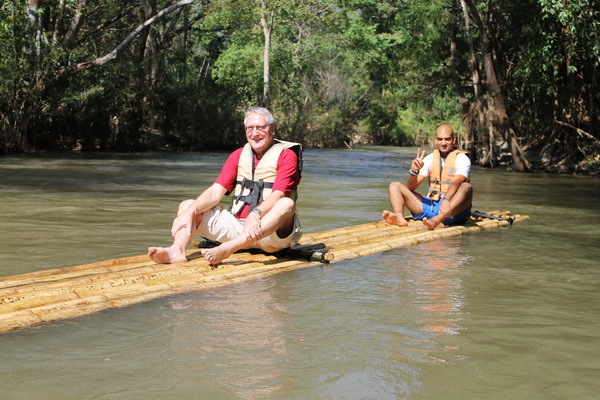 Floating raft downstream period is about 2-3 hours depends on your time spending and water rapid. Is bamboo rafting available right now? Is it open all year long? Thank you very much for your kindly interested in our website. If you would like any further information, please don’t hesitate to contact us. We look forward to hearing from you.